...to visit some of the most famous diamonds in the world! We've been busy searching out the world's biggest and most famous diamonds scattered around the globe just for you. 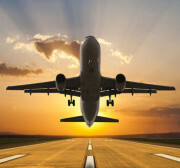 So, next time travel fever hits, pack your bag and take a leap into a new adventure! The Dresden Green Diamond is the world’s largest, natural green cut diamond. The modified pear-shaped brilliant cut diamond consists of a total of 58 facets. Its bright green colour is due to exposure to naturally occurring radioactivity during the stone’s formation. Once part of the Wettin princes’ treasure chest, the diamond today belongs to the inventory of the New Green Vault in the Residenzschloss in Dresden, the largest Baroque treasury and art chamber in Europe, where it can been visited. The Dresden Castle (or Royal Palace) houses the Historic and New Green Vaults, the Copperplate Cabinet, the Armoury with the "Turkish Camber", and the Coin Cabinet. is considered to be one of the most beautiful opera houses in the world and is the seat and main venue of the Saxon “Staatskapelle” Dresden Orchestra. is considered by many to be the most beautiful spot along the banks of the Elbe river in terms of architecture, and was created between 1739 and 1748 as a private pleasure garden for the Count Brühl. It is also often referred to as the "Balcony of Europe". This stone, discovered in 1905 at the Premier Mine in Cullinan, South Africa, is the largest colourless rough diamond ever found, weighing 3106.75 carats. 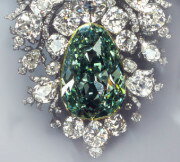 The Cullinan was later divided into nine major stones, and the largest of those single diamonds are currently part of the British Crown Jewels. The Cullinan I is the biggest stone, weighing 530.20 carats, and is known as the “Big Star of Africa". 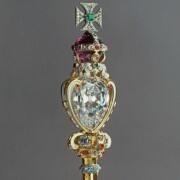 It was incorporated into the royal sceptre of King Edward VII, and as a special feature, the diamond can be removed from the sceptre and worn as a pin or pendant. The colourless Koh-I-Noor, meaning "Mountain of Light", from India and weighing in at 108.93 carats, is also one of the largest diamonds in the world. First mentioned in 1304, the stone travelled through the centuries on a long and adventurous journey before being presented to the British Queen Victoria in 1850 to commemorate the 250th anniversary of the British East India Company. 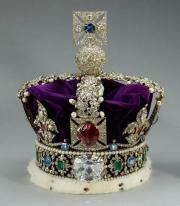 Queen Victoria decided to have the then still 186 carat diamond recut to give it more brilliance. According to legend, the stone is cursed and brings bad luck to men, so only women can wear it. For this reason, it was set in the crown of Elizabeth I as an eye-catcher. Her Majesty's Royal Palace and Fortress the Tower of London, better known as the "Tower of London", is one of the most famous fortresses in the world. Through the years, it has already served as a prison, royal palace, armoury, and even as a private zoo. Since 1988, the tower has been recognized as a UNESCO World Heritage site, and today, among other things, the British crown jewels can be admired there. If you are still able to walk after the many stairs in the Tower of London and Tower Bridge, you can visit one of London's many free museums, such as the National Gallery, which offers a very comprehensive collection of European paintings from the 13th to the 20th centuries. Location: Smithsonian Institute, Washington, D.C. According to legend, the Blue Hope Diamond belonged to the statue of the Indian deity Vishnu, but in reality it was most likely found in the Kollur Mine in the vicinity of Golkonda in southern India. In the 17th century, the diamond merchant Jean-Baptiste Tavernier acquired the blue, yet still unnamed, diamond. The stone later came into the possession of the French kings but was stolen during the French Revolution. In 1830, Henry Philip Hope, the man from whom the diamond takes its name, became its owner before the American jeweller Harry Winston later acquired the diamond in 1949. Today, the stone’s value is estimated at anywhere between 200 and 250 million USD. 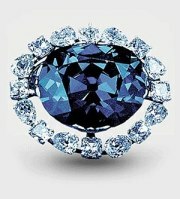 Today, the Blue Hope Diamond can be admired at the Smithsonian Institute in Washington, D.C. The Institute, consisting of 14 separate branches all located in Washington, D.C., is one of the most extraordinary collections of museums in the world! Hello, Mr. President! The White House in Washington, D.C. is of course also worth seeing. It is the official residence of the President of the United States and the official seat of the American government. Tip: Be sure to take the free sightseeing tour of the Capitol. The guided tour lasts 45 minutes and leads mainly through the crypt and rotunda with its beautiful dome. Tickets are best pre-booked online on the homepage of the Capitol. Feeling hungry after the tour through Washington? The Golden Jubilee Diamond is the largest cut diamond in the world and has achieved worldwide fame mostly because of its size. It was found in 1985 in the Premier Diamond Mine in Cullinan, South Africa, weighing 755.50 carats in its rough state. The well-known diamond cutter Gabi Tolkowsky was commissioned to cut the stone, transforming the brown, unnamed rough diamond into a perfectly symmetrical Fire Rose cushion cut. In 1995, the diamond was then sold to a Thai holding company, who in turn presented it to King Bhumibol Adulyadej in honour of the 50th anniversary of his coronation. Today, the Golden Jubilee Diamond can be admired in the Golden Temple Throne Hall of the Royal Museum in Bangkok. The diamond is part of the Thai Crown Jewels and its value is estimated at approximately twelve million US dollars. Bangkok currently holds the Guinness record as the world’s longest place name! "Bangkok" is actually just the shortened version of "Krung Thep Mahanakhon Amon Rattanakosin Mahinthara Yuthaya Mahadilok Phop Noppharat Ratchathani Burirom Udomratchaniwet Mahasathan Amon Piman Awatan Sathit Sakkathattiya Witsanukam Prasit"! The best way to really experience Bangkok is to taste the local cuisine in one of the countless food stalls on Bangkok's streets. Here you will find grilled meats, fish, soups, fresh fruit, and many other dishes. The Grand Palace is probably the most famous attraction in Bangkok, impressing visitors with its breath-taking architecture and the intricate details of its buildings. The complex includes, among other things, the Royal Courts and the Temple of the Emerald Buddha which houses a 66 cm high Buddha statue made of jade. 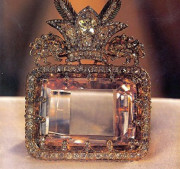 The Darya-I-Noor is the largest pink diamond in the world. Like the Koh-I-Noor, the Darya-I-Noor is one of the oldest known jewels in the world. 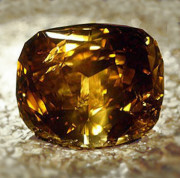 The Darya-I-Noor was found in the Golkonda diamond mines in India. In 1739, the Persian Shah took control of Delhi, India and forced the defeated Indian ruler to give up the jewel treasure of the Mughal emperors, which contained the Darya-I-Noor, in order to regain his crown. This is how the diamond came to Persia, where it became part of the Iranian crown jewels. 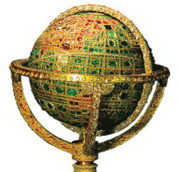 The Jewellery Treasury offers guided tours in English, French, Russian, and Persian. The bazaar of Tehran is also absolutely worth seeing. Almost ten kilometres long with over 10,000 shops, it is the largest covered bazaar in the world. In the small shops, visitors can find a wide range of goods, ranging from precious carpets and silver and copperware to food and exotic spices. A visit to Kulsen & Hennig in Berlin! 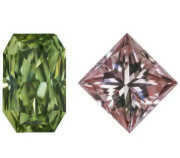 Come discover the variety of colours of our Natural Fancy Coloured Diamonds in our centrally located offices. Enjoy a delicious cup of coffee with us while browsing through our extensive inventory in the company of experts. Our stock includes exceptional single stones in rare colours, classic Champagne Diamonds (C1-C7) and the finest small goods in all colours. Please let us know in advance by phone or e-mail when you would like to come, so that we can plan for your visit and confirm that we won’t be traveling at that time! You can reach us by phone at +0049 (0) 30 400 55 93 0 or by e-mail at info@kulsen-hennig.com. The capital city of Berlin has many exciting sites to offer. In good weather, you can easily hop on one of the numerous bikes available throughout the city and start your tour with the many flea markets Berlin is known for. If you get hungry along the way, treat yourself to a “currywurst” (pork sausage with curry sauce), one of Berlin’s specialties, at the city’s most famous currywurst stand, the “Konnopke’s Imbiss” in Schönhauser Allee. Next, you can easily make a few interesting intermediate stops as you head over to the well-known Café am Neuen See in Tiergarten Park, which features a relaxed and harmonious atmosphere. On the way, you will pass by the Brandenburg Gate, the Reichstag Building, Checkpoint Charlie, the Holocaust Memorial, and the Road commemorating June 17, which leads past the "Goldelse" Victory Column. And if you do not feel like riding a bike, you can also take an exciting boat tour, which will take you past all the places worth seeing. You will receive our next newsletter in autumn 2018. Earlier editions of our newsletter may be found in our newsletter-archive.